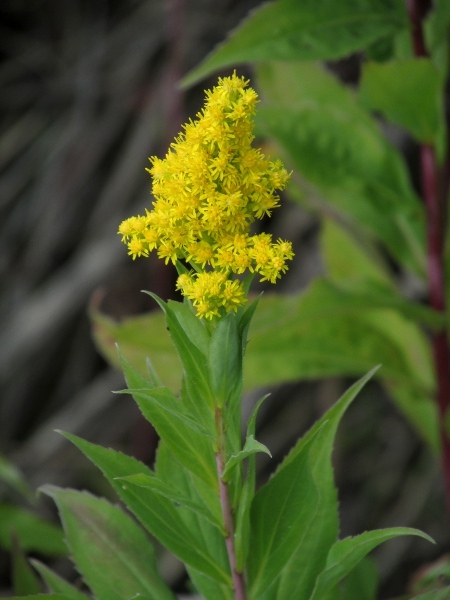 The flower-heads of Solidago gigantea have more flowers (especially disc-flowers) and are borne on shorter side-branches than in Solidago canadensis. Solidago gigantea is similar to Solidago canadensis in overall appearance and distribution. 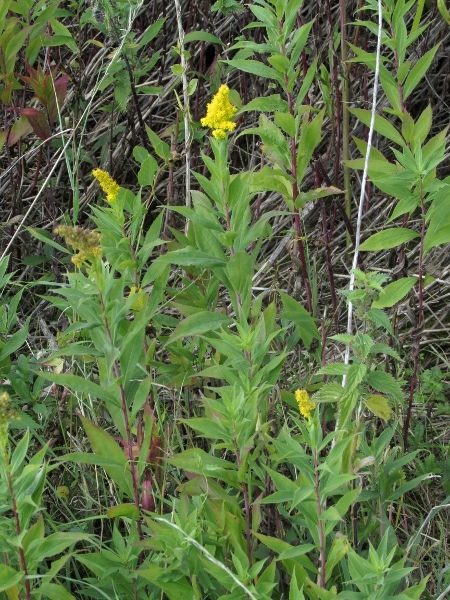 Although it is known as the ‘early goldenrod’, our plants are subsp. serotina, the late-flowering subspecies. 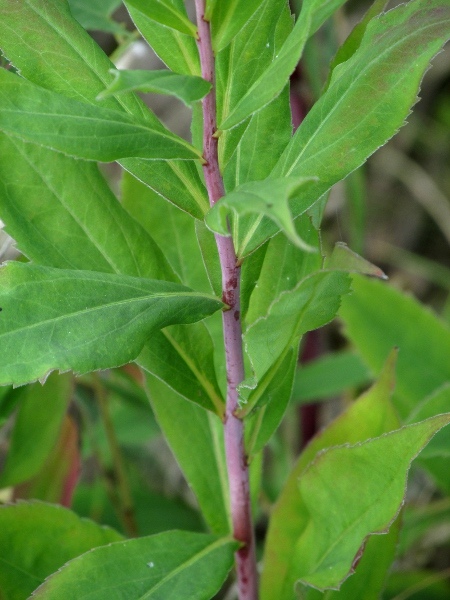 The stems of Solidago gigantea have a bloom, rather than the hairs seen on Solidago canadensis, and the leaves are also less hairy.